No matter what you believe about the creation of life, whether you put your stock in science or religion, there is at least one faith we all believe in: the mind. Like God, the mind cannot be seen; its origin is a mystery, its powers are awesome, and its boundaries unknown. 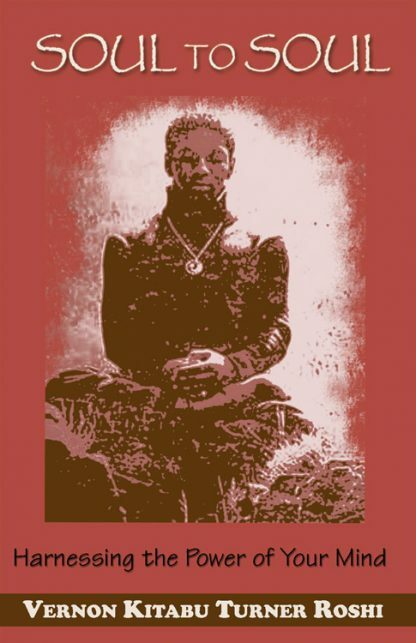 In Soul to Soul, Vernon Kitabu Turner, a black American Zen master, shows you how to still your thoughts, tame your mind, and tune into the Divine Mind. One of the few people on the planet who can use the "chi" energy, Turner is internationally celebrated as both a philosopher and a martial artist. Turner explains that tapping into the power of the Divine Mind will make your more self-confident, invulnerable to the whims of others, and more capable of a dynamic life. He writes: "There is, indeed, far more to you than can be seen, but you cannot unlock that secret by studying the physical body. You cannot come into the fullness of that experience merely by linking yourself to an organized group. There are some roads you must travel alone." All the great masters know that there is a universal path to spiritual freedom on Earth, and Soul to Soul shows you that path.